As an OEM, lubricant manufacturer/distributor, mechanical equipment vendor or provider of MRO services, you may require your customers to test their lubricants as a condition in order to maintain their warranty. Do you operate your own laboratory? Then you are a candidate for a franchising or a SaaS partnership. If not, then you may be interested in the Tribologik® private partnership Program. 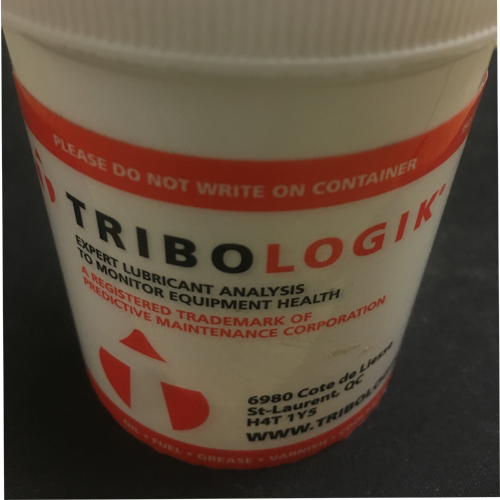 Under the Tribologik® Private Label partnership, your customers can send oil samples directly to the Tribologik® Laboratory. This is done by addressing the labels on the containers directly to the closest Tribologik® Laboratory. Our certified lab technicians will then test the samples, after which reports are generated on your behalf with your logo and company name on the header. The Tribologik® on-line testing management Customer interface.. The Tribologik® mobile application with the added convenience of direct customer equipment management, instantaneous viewing of reports, graphs, and historical data. Limits either fixed or dynamic according to customer requirements. Complete access to the reports along with your clients. Your customer goes to your website to receive their reports. At the signature of the contract, Tribologik® will set up the web site of the Private Label Partner with the Tribologik® customer interface. Tribologik® will perform all the tests requested by the Private Label Partner’s customers under the banner of the Private Label Partner. Private Label Partners may bill their customers directly without any form of correspondence, invoicing, or interference between Tribologik® and these customers.